I bought a couple tubes of toothpaste this week as part of my $25 CVS Gift Card Challenge with my free $25 CVS gift card from Swagbucks. This is shopping trip #11 in my CVS gift card challenge. My $25 CVS gift card earned on Swagbucks plus extra bucks and cash back earned on purchases made with it total $30.57 worth of CVS spending power. See the spread sheet below for details of my current totals. 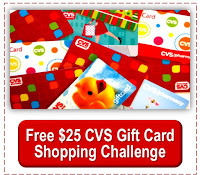 By shopping CVS deals it helps us to pack more Operation Christmas Child shoeboxes. The toothpaste will be donated to our church's food pantry.